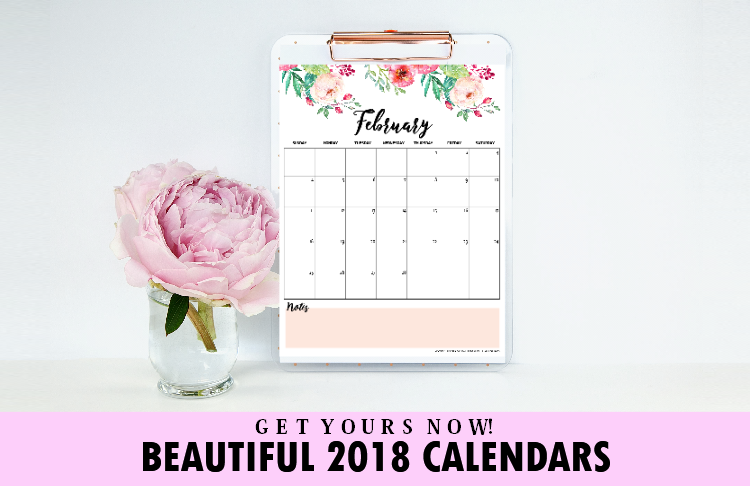 FREE Beautiful Printable Calendar for 2018! 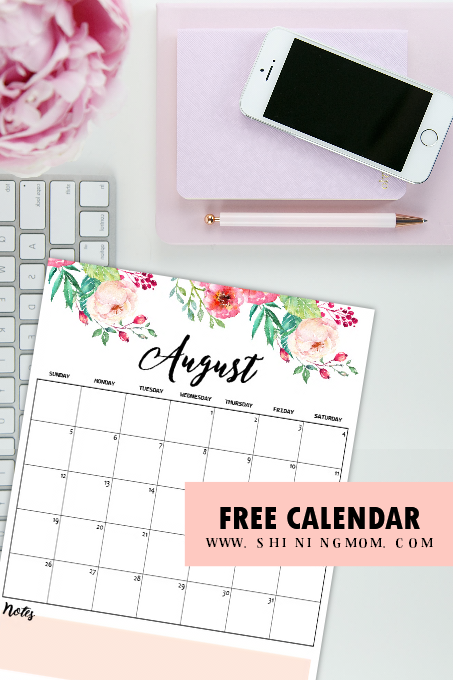 It’s a big day today at Shining Mom because our most requested printable calendar design for 2018 is finally here! 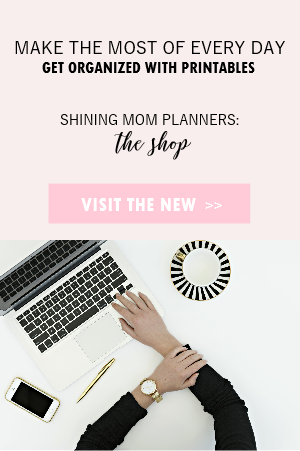 Friends, my heart is thumping in joy to release this beautiful planner that you’ve all been waiting for. Yup the long wait is over… ready your printers! 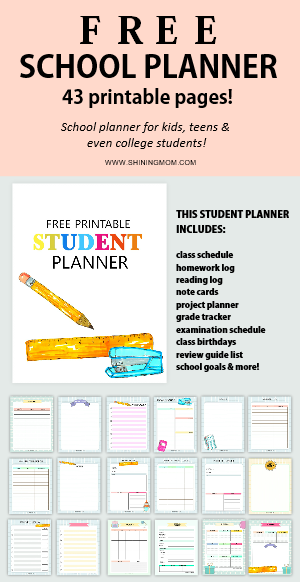 I am especially excited to release today’s freebie because it’s a request from Shining Mom readers. If you’re one of them, I hope you’ll love this little gift from me again! 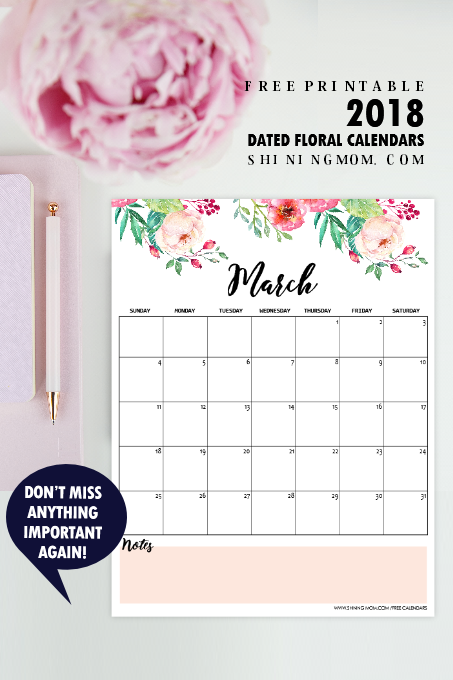 To those who are new here, let me give you a short background about this printable calendar. 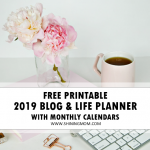 Some weeks ago, I released a floral monthly blog and life planner with blank calendars. 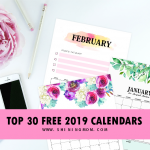 I asked the readers if they would also want a dated version of the calendar and to my surprise, requests came flooding! I’ve received emails and messages at the Comments asking me to release a dated version of the calendar. It took me quite a while to recreate but I am happy to announce that it’s here, at last! This printable calendar for 2018 is darling, I must say. I mean look at those gorgeous flowers that swayed beautifully adorning the page! Won’t those refreshing beauties inspire you plan wonderful days ahead? A shutout to OctopusArtis for these beautiful floral elements! Interested to print yours, too? 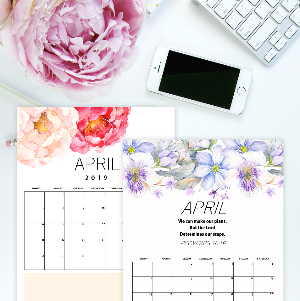 This printable calendar is designed to be printed in standard US Letter size paper. But should you like to use other sizes such as A4, just be sure to adjust your printer setting to fit the page. Simply stunning, isn’t it? I think you’ll also love that each monthly calendar doesn’t use up much ink. And oh, to make sure you have a big room for your monthly to-do’s or reminders, I’ve added a note area at the bottom of the page. Look! Yup, you’ll never miss anything important again with this printable calendar. Keep your important dates, events and even reminders into that pink box! You can do all these, and so much more! How about you? Where do you intend to use this calendar? 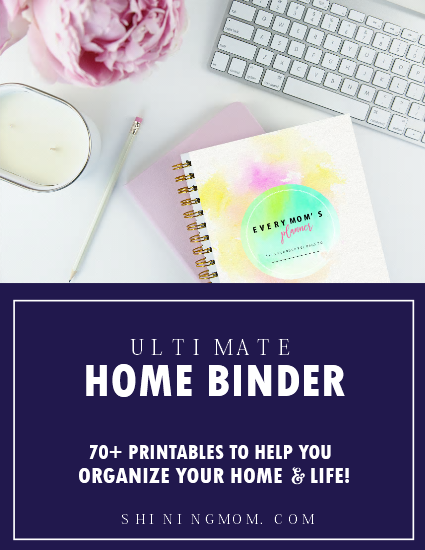 I’ve already included copies for all the months of the year so you can already print them at once! 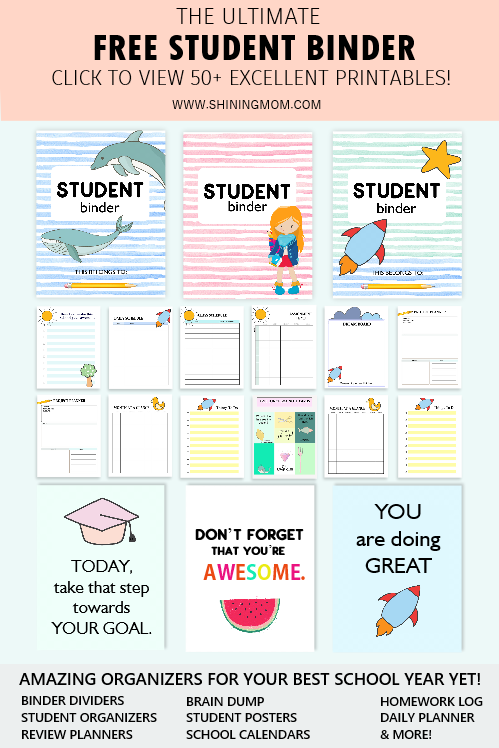 Convinced that this printable can help you stay focused and organized this year? Before I release your printable calendar today, please allow me to thank you first. This printable calendar then is my little way of thanking you in return. 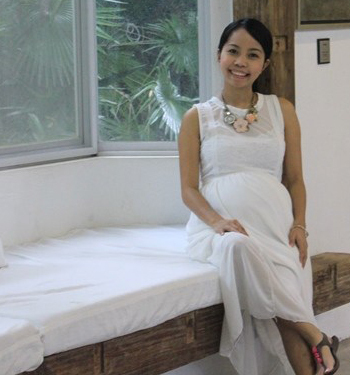 I hope it will bless you immensely like how your support blesses me and the whole Shining Mom family. I thank the Lord for having you. Please allow me to bless you again through this humble printable calendar. The year has just started but I can already see how beautiful it is going to be all year round all of us. I pray that your 2018 is going to be an amazing one! Ready to finally print your copy? 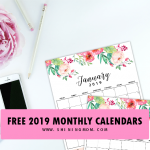 Please go HERE to receive the calendars sent straight to your inbox and to join the Shining Mom mailing list. 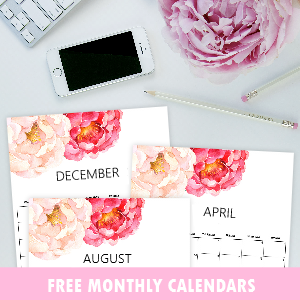 With your subscription, you will also receive weekly freebie updates from me so you will never miss a free pretty planner again! And oh, one last thing. Do I have a reader here who wants a version of this calendar that begins on a Monday? I think that’s how it works for some. Do let me know at the Comments because if I’ll get 15 requests, I will update this post right away. Promise, it won’t take me that long anymore! 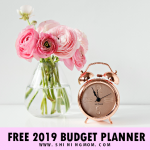 P. S. You might also want to check out my free printable budget binder , purple calendar and ultimate mom planner should you be looking for more organizers to kickstart your year. God bless you! 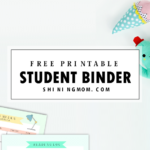 « Free Printable Binder Dividers for All The Months of the Year! I would love to have a Monday starting calendar ..
I’m a Monday starter! Thank you for this beautiful calendar!! Yea I would love to start my week on Monday! My pleasure all the time! Please enjoy the calendars, Say! LOVE LOVE the flora calendar! !